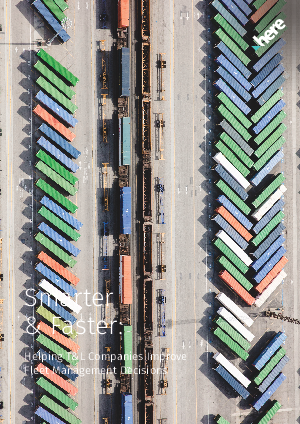 By making use of the right technology, transportation and logistics (T&L) companies can reinvent their industry with superior customer service, increased revenues, and reduced costs. This whitepaper looks at the obstacles facing the T&L industry and examines how fleet planning and trip analysis software businesses can help by enabling faster and smarter data-driven decision-making. As the world’s leading location platform in 2018 (Source: Ovum and Counterpoint Research annual indexes) HERE can help T&L companies improve fleet management.